The programme is an initiative of the Department of Environmental Affairs, in an effort to showcase one of the Operation Phakisa Chemicals and Waste Economy initiative ahead of the official launch by President Ramaphosa on Friday, 8 March. Tomorrow, President Cyril Ramaphosa will officially launch the Operation Phakisa Chemicals and Waste Economy at the East London International Convention Centre and the Good Green Deeds Campaign programme at the Sisa Dukashe Stadium in Mdantsane. The Operation Phakisa Chemicals and Waste Economy is anchored by the inputs and contributions of local, provincial and national government and their relevant agencies, business, Non-Government Organisations, Academia, Research institutions including higher learning institutions, and aims to unlock Africa’s largest chemicals industry valued at USD 30 billion, while reducing environmental footprint. 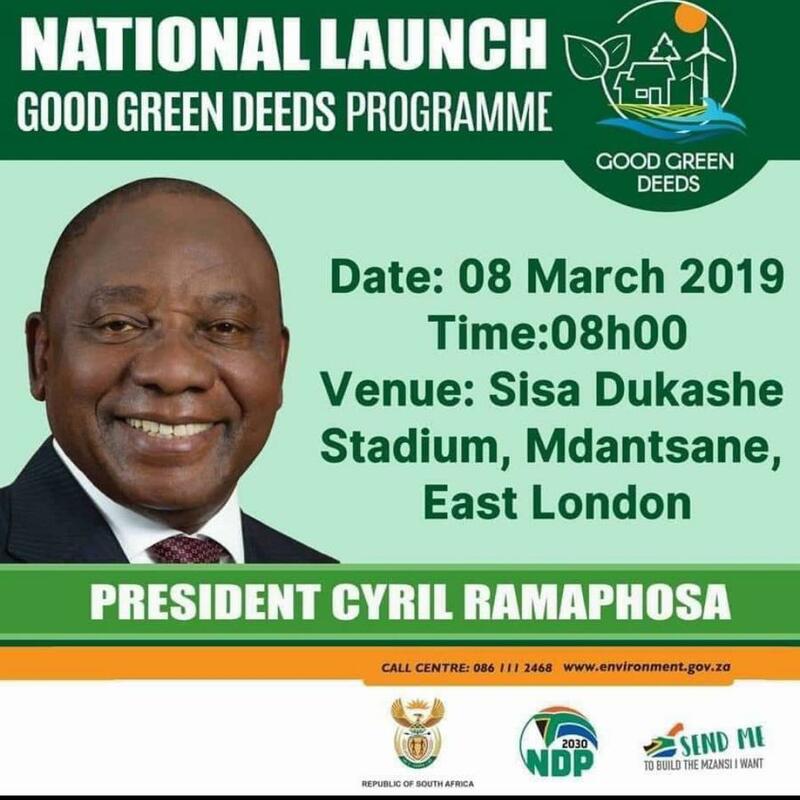 The launch will also include the planting of trees at the Mdantsane Eco Park, the beach clean up at the eBuhlanti area and two taxi ranks in East London and King William's Town. Speaking about the initiative Phumeza Ceshemba CEO of Afriwaste Plant said, "The initiative was inspired because my mother was also into recycling while I was growing up. She use to collect plastic bags and make drums out of that waste." She added that the funding from government made her dream come true. "My dream of owning a recycling company and selling the recycled plastics to major plastic manufaturers in the country."